- Would be involved in implementing recruiting plans and strategies designed to fulfill company staffing needs. 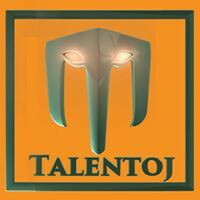 - Get involved in hunting/Scouting and nurturing the Talent. (Recruitments/Hiring) - Making sourcing strategies and executing the same - Getting involved in Research and real-time data analytics and decisions. - Have Process orientation with consulting nature. - Interacting with a lot of divers of people. - Be a Creative enthusiast who believes in learning through failures and improvising with each fall. -Strong on Job Boards, Social networking and super communication. (Naukri, monster, facebook, twitter, LinkedIn, Quora, etc) - Would be working on a Client site project for 6 months.